Closet reorganization is a big project, but it’s an even bigger project when it comes along with moving into a new home. Moving to a new place–especially into your first home–is so exciting, but it’s also a ton of work just to get everything situated. My sister found this out when she and her husband moved into their first house a few weeks ago. My siblings and I tend to have an obsession with order, so when things are out of place, it’s hard for us to handle. We come from a household where everything has a place, and everything is always in its place. For us, it can be quite paralyzing–to put it gently–when things are out of their respective places. With my sister’s move came some discomfort for her about things being out of order. That’s where I came in. I live to organize. I mean, if I could organize closets for a living, by George, I would (by the way, who the heck is this George fellow?). My sister and I shared a bedroom our entire childhood, which means that we also shared a closet. I cleaned out said closet about once every other month and, as the older sister, I forced her to participate. She always obligingly did, despite not wanting to, as I color-coded, tossed, and reorganized before every season. 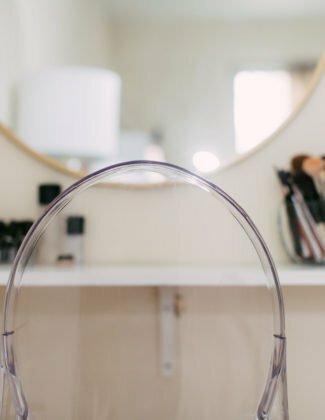 Once we moved out of the house, and to our respective sides of the state, she no longer had someone forcing her to go through her clothes on a regular basis (read: her closet hadn’t been cleaned out in about four years). This fact, combined with the move, meant we had our work cut out for us. Did I mention I live to organize? This was more like an exciting challenge than a daunting task–to me, not necessarily to her. The very first thing we did was toss as much as possible. Anything that didn’t fit or wasn’t worn was not going back into that closet. Heading into this project, my sister knew she wanted to downsize, and she was a really good sport about getting rid of things. Sometimes people say that they want to scale back, but end up wanting to keep everything for one reason or another. Anyone wanting to clean out their closet needs to be willing to let go of clothes they don’t need. 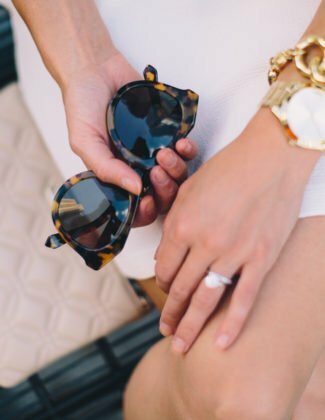 Back to the whole concept behind capsule wardrobes, don’t you want to have a complete closet of items you love? If it doesn’t fit you, or you haven’t worn it in the last year, it needs to go. This is also the point where I assess my hanger situation. 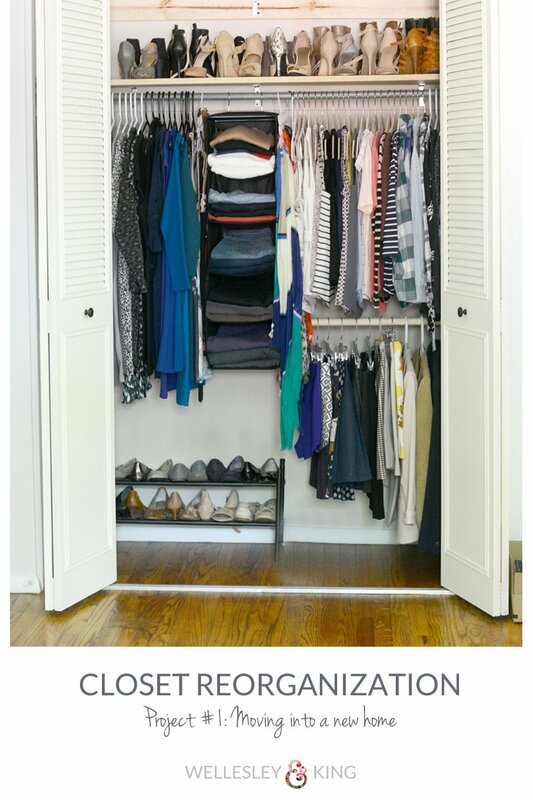 Your closet will look best if you use the same hangers throughout, and/or if you color code the hangers. Part of our project was making the most of what we had so, for all of the clothes that remained, I swapped out wire hangers with plastic ones. Once we’re finished tossing things that are no longer necessary, I like to categorize what’s left into piles, so that I can assess how best to arrange it. At this point, my sister was off the hook and went to work on another part of the house. For this space, I had a really nice sized dresser and a full sized closet to work with. I don’t like to store anything that I would wear out of the house in the dresser. Reason being: if I don’t see it when I look at my closet, I will forget about it. To me, dresser drawers are best for things like workout clothes, undergarments, socks, loungewear and pajamas. 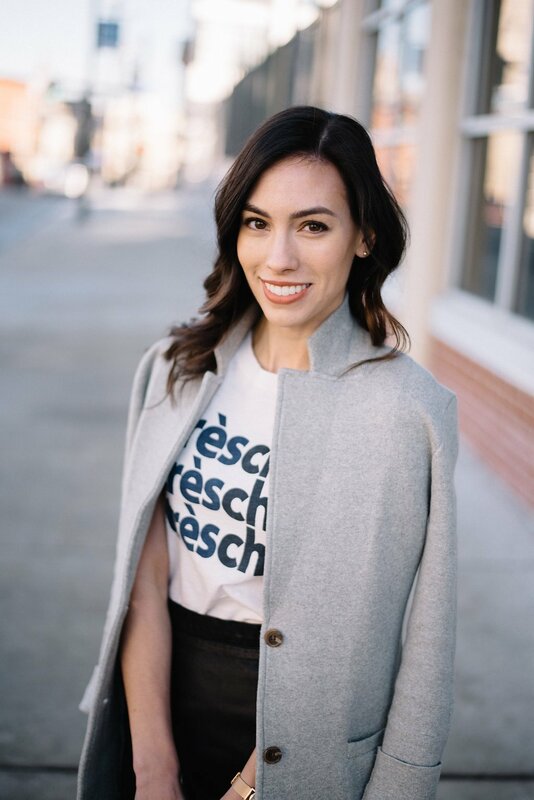 Jeans, pants, shorts and sweaters all belong in the closet where they are visible and easy to see for matching to outfits. 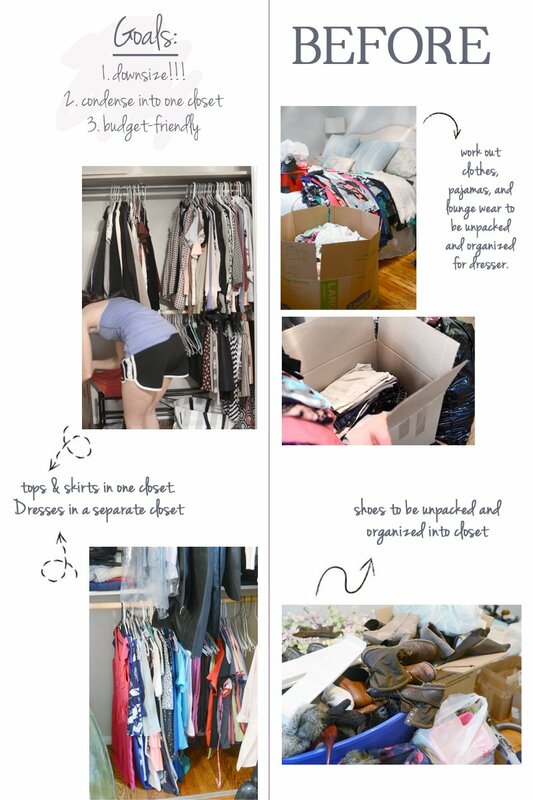 Categorizing things into piles helps to visually see how much space is needed for a type of clothing, and therefore determine where it fits best (i.e. whether it requires one drawer or two, if it fits on the bottom rack or the top, etc.). 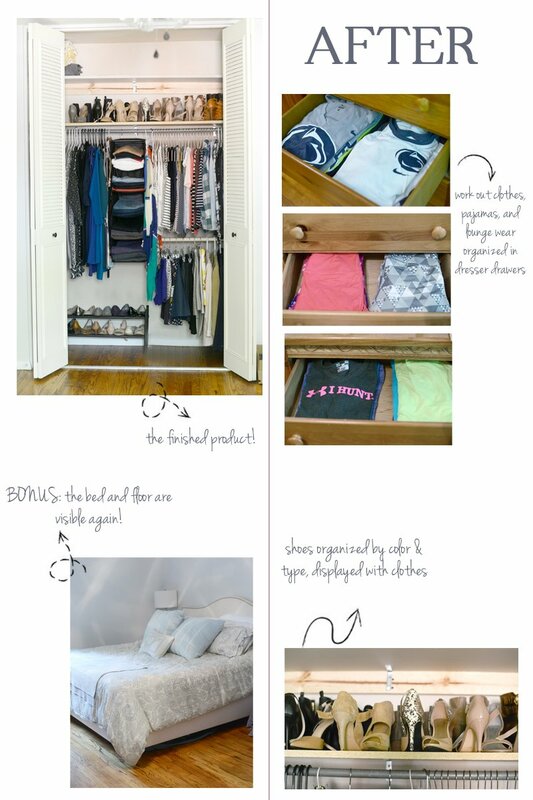 There are so many really smart tools out there to get you organized without having to actually invest in built-in closet organizers. 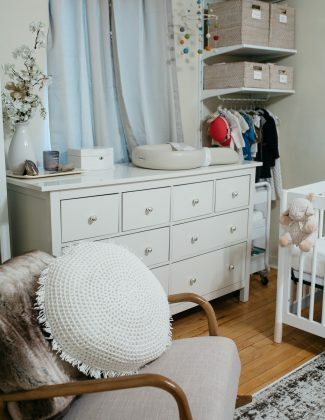 Plus, as an added bonus, with removable storage you have more flexibility to rearrange things in a way that works best for different seasons. My brother-in-law also added a second shelf for extra storage at the top of the closet that would be perfect for storing items that aren’t needed on a regular basis, like luggage or off-season clothes. I like to attack the “arranging” part of the process in pretty much the same way every time I do a closet cleanout. In total, this closet cleanout probably took about 5 to 6 hours. 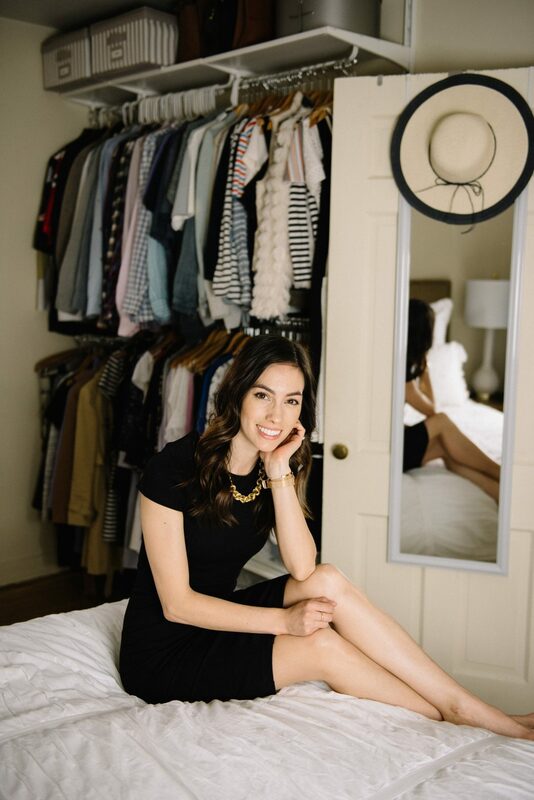 The finished product was a well-organized, simplified closet filled with quality, and well-fitting clothes and shoes (this girl truly has thee best shoe collection I have ever seen). Most of all, she now has peace of mind and one less thing to worry about after the move. If you’re interested in cleaning out your own closet, I recommend the following tools to get you started. You can shop any of them by simply clicking the images below. That’s it for my sister’s closet reorganization –who’s next?! 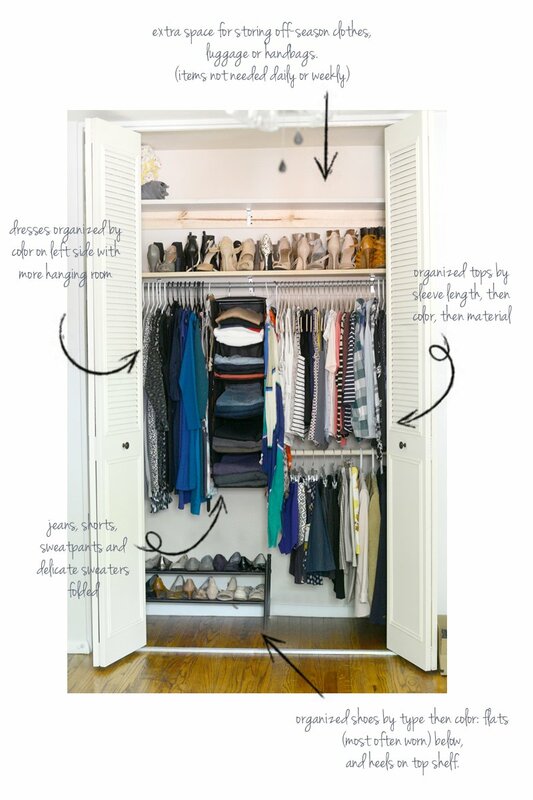 Click here now for more closet organization tips and tricks! Can I hire you? Trip to Flordia included. Say no more, I’m in! I don’t like – I LOVE and I’m NEXT!!!! I totally agree, Gennifer. And I think “prettying” up your closet makes picking out your clothes that much better. Throwing away is the hardest task for myself!!! Are you spying on me?! How did you know I am in the midst of a closet clean out?! Nice post!